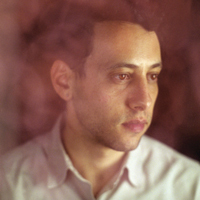 BEN KAUFFMAN is a Chicago-based composer, director, interactive media artist, and Co-Artistic Director of Manual Cinema. His film and interactive work has been shown at the Jay Pritzker Pavilion (Chicago), the Peggy Notebaert Nature Museum (Chicago), the University of Wisconsin, and CUNY’s Baruch College (NYC). He has lectured at the Metropolitan Museum of Art’s MediaLab, New York University, and Parsons The New School of Design. His past composer credits with Manual Cinema include Ada/Ava, The End of TV, and The New York Times documentary The Forger. He holds a Master’s degree from New York University’s Interactive Telecommunications Program (ITP).